It’s President’s Day! I hope you have the day off and I hope you enjoy it!! 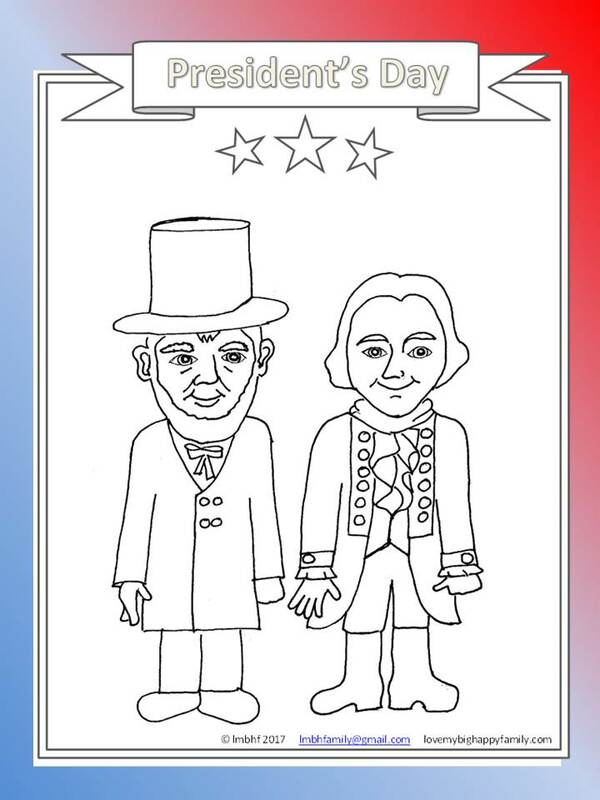 In honor of President’s Day, here is a Free President’s Day Coloring Page for you and your little ones to have fun coloring! This downloadable coloring page is free for you to print and enjoy!! If you’d like more coloring pages like this, subscribe to the Love My Big Happy Family newssletter!! Great coloring page for the grands to enjoy! Thanks Lori from Grammy Dee, #WednesdayAIM #LinkUp #BlogParty, social media shared.